Rich in vitamins, flavor full and generous, has a deep golden color. Has an important role in health, because several studies have shown that at the clinical level this product is easy to digest, therefore suitable for lowering cholesterol, removing the risk of cardiovascular disease. 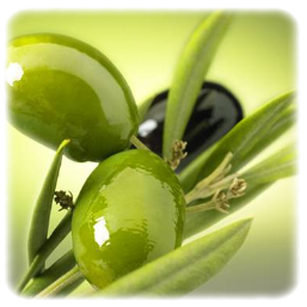 From statistics it is shown that without the peoples of the Mediterranean, olive oil consumers have a low incidence of cardiovascular disease. National Park of Cilento retain the traditional plants for generations. Crop care and protection from insects olives are performed according to eco-friendly techniques and controlled by specialized bodies. We collect the olives from the end of October and up until the end of November, this time the olives are rich in substances that recognized the organoleptic and allow him to keep intact for a longer time. After each day's harvest, the olives are taken to the mill and cold pressed to preserve the aromas and protective substances contained in fruit. Typical extra virgin olive oil from Cilento National Park golden green color, intense and very tasty fruity with a very low grade of acidity. The olive oil is a precious ingredient for those who love the pleasure of food tastes and looks light and balanced. For a taste of sun and fresh Mediterranean cuisine, you should taste it raw, seasoning, ideal for: salad, steamed vegetables, garlic bread or over pasta adding garlic and chilli. The oil must be stored carefully to prevent the light, air and temperature change characteristics that make food so valuable. The oil will keep well for 18 months in a cool (13-23C °), dry and dark. Use our original containers and keep them locked up for their consumption.